e-ID Embedded Reader Platform Enabling you to Create e-Government Applications. 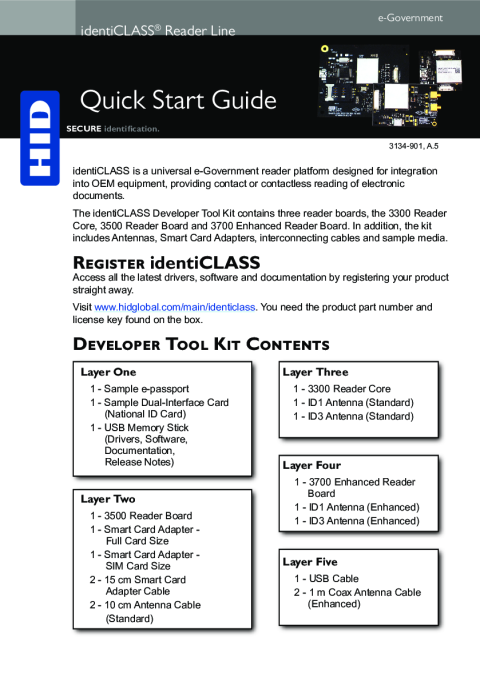 The HID Global identiCLASS® developer tool kit (DTK) is designed for system integrators and government-related agencies who need the tools and support for implementing contact and contactless e-ID authentication systems utilizing the identiCLASS® product line. The identiCLASS® products are fully certifiable and flexible providing simplicity in integration resulting in shorter design-in cycles and faster time to revenue. 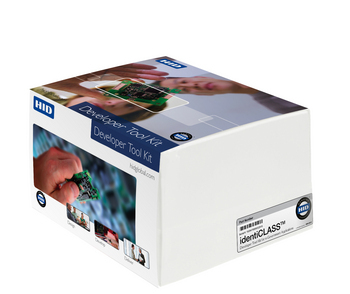 The identiCLASS® DTK provides developers with everything that is needed for the development of e-Government & e-ID solutions utilizing HID Global identiCLASS® embedded product. The identiCLASS® DTK is one of a number of HID Global products designed for developing embedded solutions. For additional information and to receive the latest updates and product documentation please be sure to register your identiCLASS® DTK with HID Global.